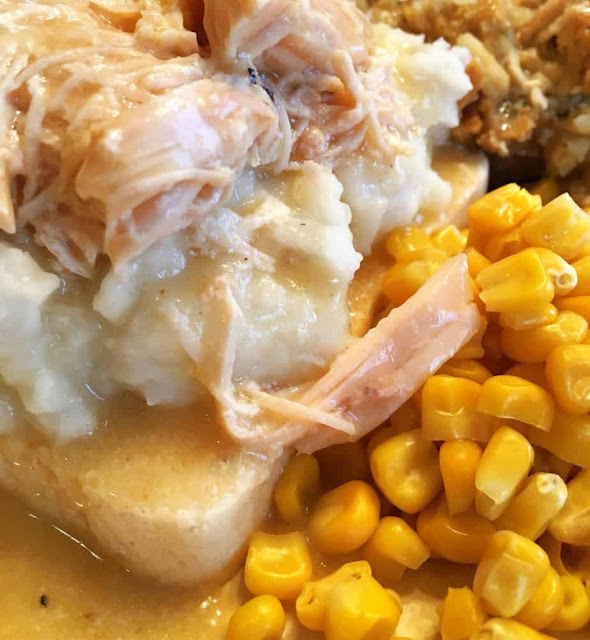 A wonderful Chicken and Gravy dinner that will remind you of Thanksgiving dinner when served over mashed potatoes and served with a side of instant stuffing. Put the gravy packets, cream of chicken soup, water, and pepper in a medium bowl and whisk until the gravy is as smooth as you can get it. Pour the gravy mixture over your chicken breast. Serve over mashed potatoes, rice, or noodles. 0 Response to "Slow Cooker Chicken and Gravy"